Astonishing is the best word to describe don’t forget the birds. Initially, I hadn’t been sure. I knew this honest story of how prison took this mother from her daughter told in their own words by real life mother and daughter had the potential to be hugely powerful. But what if it didn’t work? What if sharing this deeply personal narrative in front of an audience proved too overwhelming? I needn’t have worried. The wonderful, experienced team at Open Clasp knew exactly what they were doing. Writer Catrina McHugh MBE put her faith in these two incredible women, declaring it “a real honour to work with this real-life mother and daughter”. As Director, Laura Lindow’s aim was “to scaffold, support and clear the stage for their story”, a story in which “the invisible narrative would be the most important”. The headings for different sections like chapters in a book; the use of folders and flowers; movement, recorded voices and song; sound, staging and lighting – this scaffolding forms the structure for the actors to move freely within. Both natural performers, Cheryl and Abigail Byron deliver an outstanding performance, enhanced by their unaffected, deep-rooted bond. There’s a bravery in their truth-telling. Neither had heard the other’s viewpoint until the first draft of the script was read. Some of these memories and emotions are hard to express and hard to hear. The intimate, cabaret feel of small tables clustered close to the stage created a familiar setting for mother Cheryl Byron, who’s been involved in the performing arts her whole life. One of the original collaborators on Open Clasp’s Key Change during her sentence inside HMP Low Newton, Cheryl’s confidence visibly grew in response to the enthusiastic and vocal audience reaction. Forget the West End – Newcastle’s West End is where it’s at! We develop a huge affection for these two funny, talented and heart-warming women, as they look back on the impact of a prison sentence on mother and daughter. Release from prison should have been hunky dory. And yet somehow it was not. Everything had changed in the two years Cheryl had been away. Everything and everyone. And how perfect is the soundtrack of Christine and the Queens’ Tilted to explore the physical awkwardness that’s replaced the easy intimacy these two women previously enjoyed? The instruction to “don’t forget the birds” when it finally comes is simultaneously insignificant and all-important. It’s real life. Cheryl and Abigail Byron are not looking for our pity. They don’t need it. 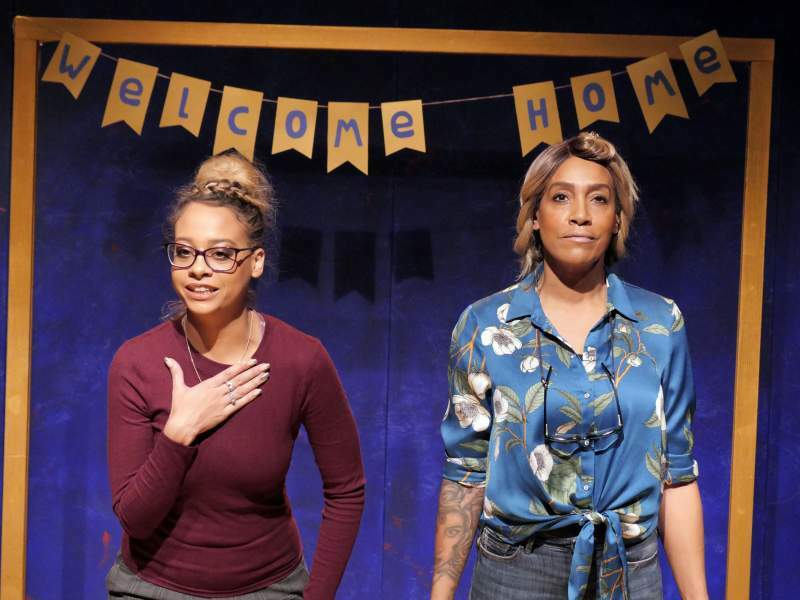 They are resilient, and this is their ongoing story of survival, strength and hope, in which this astonishing play is an integral part of the process. What they are achieving is worthy of celebration.